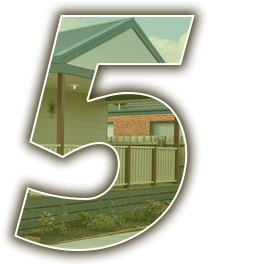 Looking For Granny Flats on the Gold Coast and Brisbane? Look No Further Than Superior Granny Flats! You’ve been dreaming of extra space in your home. Your parents have been living with you and your family for some time now, but when first buying your house, you didn’t plan ahead for two extra people, and you’ll be surprised at how fast a large home can feel cramped when you bring more people over. So what do you do? Moving isn’t an option right now. You love your home. You have thousands of memories, and many more to come in future years, and you can’t bear the thought of having to uproot everyone just to find a place with an extra bedroom. Of course, there is always the possibility of remodelling and adding on a few extra rooms, maybe a bathroom, but this is also expensive, time consuming, and not incredibly ideal for a family with both older and younger generations. Luckily, Superior Granny Flats has a solution to your problem. Not only will you not have to move and spare yourself the painstaking labour of rewiring and adding new plumbing, you won’t have to do a single thing. We promise you that this isn’t a joke. You can add extra space onto your property without lifting one finger. If you live in Brisbane or on the Gold Coast, Superior Granny Flats can build you an extra home for as little as $37500. If you’re looking for just an added area for your parents but would still like to eat meals together as a family, our first option at our phenomenally low price is the flat for you. Built with a bedroom that has a walk-in wardrobe attached to it; a bathroom with a toilet, sink, and shower, you can grant your family members a space of their own that you both will love. That way you both can have your privacy, but can still come together around mealtime in the kitchen. This is an amazing opportunity especially you have older family members or parents that will be staying in their spacious granny flat because we can tailor it especially to your specifications. If you need special accommodations such as grab rails to add onto either side of the toilet and inside the shower, we can do that. You also have the option of installing a shower seat to your granny flat. We have other adjustments we can add on, such as wider doorways and ramps that lead up to the porch and into the home itself for wheelchair access, as well as shower bases that do not require steps and non-slip vinyl flooring. This is especially important in areas where floors are susceptible to getting moisture and can prevent accidents from skidding on damp surfaces.